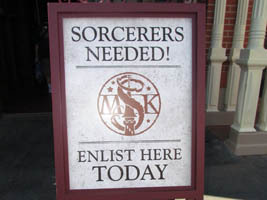 The interactive game, Sorcerers of the Magic Kingdom (below, left) was play testing on Sunday at the Magic Kingdom. We had just finished up breakfast at Boma with friends when we found out that the testing had just started. 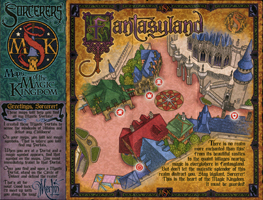 We were handed a map (below, left) and 5 spell cards – there are 70 in all – and told to go to Fantasyland to start our adventure.